You are not logged in. [Log In] Mt Whitney Zone » Forums » » The Chat Room » Hiking "Buddy"
#11965 - 03/22/11 08:49 PM Hiking "Buddy"
Whose yer hiking buddy? Sometimes it's a furry friend! More pretty storm pictures at Chick-on's Picasa site! Bee,I consider Tucker to be a major loafer. He's never lifted a paw to get to a single summit. Next trip out that way, I think I'll let him carry me dangling from his pack. Actually, though, I'm not sure what a hike out west would be like without him, now that he's accompanied me for every trip the past 7 years. When I went to Death Valley for my first winter solo trip, my then 4 YO daughter Brianne put him in my luggage, saying she wanted him to keep me company since she couldn't come along. He's now been such a constant presence with me that even when we do family hikes, he's always on my pack. That irks my daughter. "That's not the idea Dad", she will say. "He's mine!" No sweetie, he's mine now. 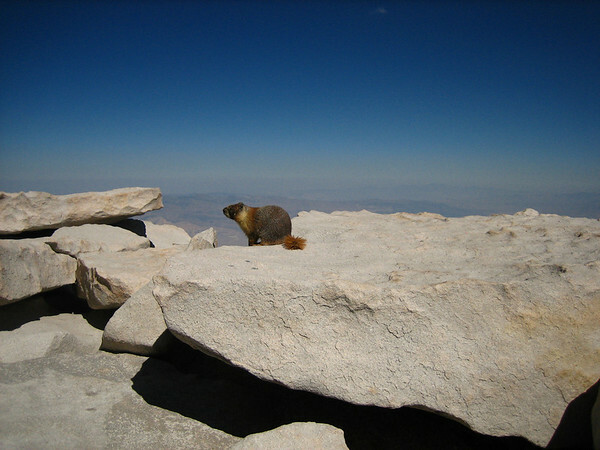 Alan's Furry Whitney Friend reminded me of the American Marten spotted by Joe Dawson at the summit. His trip report. My furry Whitney buddy is no marten, but his dad was the star of Caddyshack back in 1980. My wife Pam is my hiking buddy. From the first day we met, to the day we got married at Whitney Portal, to the day we hiked to the top of Mt. Whitney, to the top of Lembert Dome, to the day we hiked to the top of Fuji-san, to the day we hiked to the top of Thor's Peak, my wife has been there alongside me through it all. We push each other, caution each other, embrace each other on our accomplishments, and sometimes we drink ourselves silly until we pass out. I, too, had a Taz regaled in safari gear. My wife put it somewhere, can't find it, and I have not missed it. I just love this thread. I hope more hiking buddies appear in this thread over this coming summer. 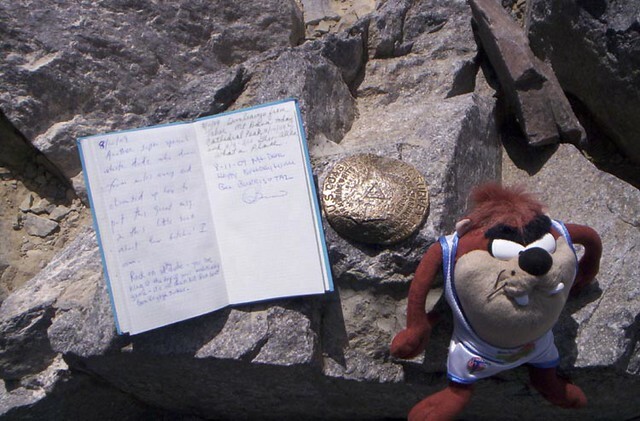 Anyone have a photo of the JMT Bear that used to travel back and forth by random hikers that would find it? Last I heard it disappeared. Probably taken home by someone. They can't always go or don't want to go or whatnut. 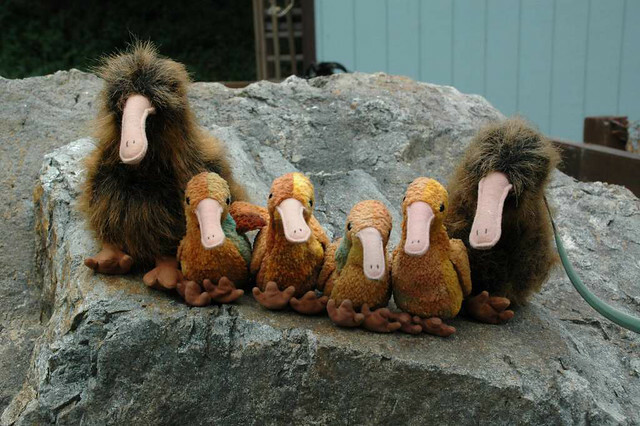 Chick-on has no say in the matter. I thought Chick-on was a little loose. Yes, Bee, I'd like to know how to keep the booties on Man's Best Friend. 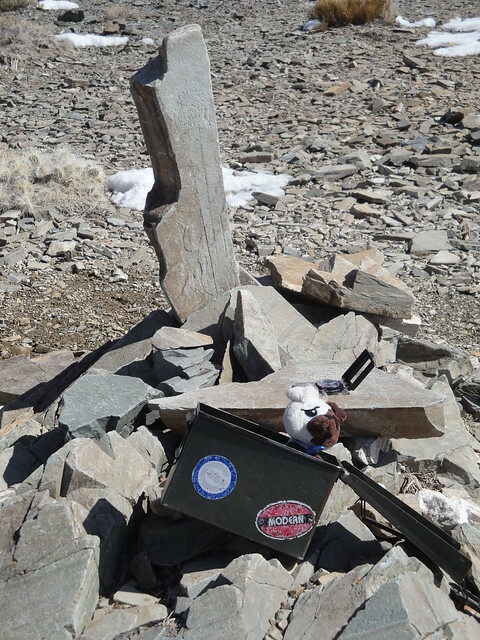 He didn't have the legs to make it to Telescope - we got sunburned, wet toes (so much for Gore-tex liners in hiking boots), and learned that snow shoes are useless ballast. Mousie wants to hit Whitney Portal tomorrow and check out conditions for the weekend. Due to snow in Colorado, we had to drive the "ugly" route - ia, ms, ks, ok, nm, az to Hoover Dam, where we crossed the new bridge, but there's nothing to see but tall concrete barriers. Mousie riding shotgun all the way. Generated in 0.141 seconds in which 0.129 seconds were spent on a total of 15 queries. Zlib compression disabled.